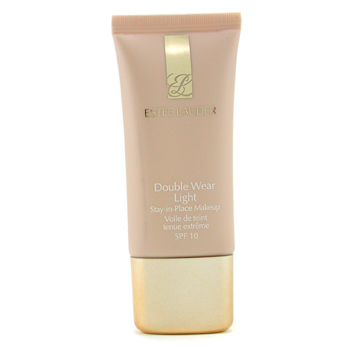 One foundation I tried during the summer was Estee Lauder double wear light. I wanted something that would last all day and still look natural. Unfortunately, even with a light summer tan I could not get a color match in this foundation. I ended up with intensity 1.0, and it's much too orange for me. It is disappointing that Estee Lauder doesn't make lighter more neutral shades in this foundation. The only way I can get this to work is if I use a lighter powder on top. The coverage is good, and the finish is really nice and natural looking. It's satiny and looks a little bit dewy. It lasts about 8 hours without any fading or shifting on me. Keep in mind this is humid summer weather, and I sweat a lot at my job. You can see after 8 hours my skin still looks fresh, but the foundation has slightly started to wear off from my cheeks and nose area. This is most likely from me blowing my nose a lot from allergies. I didn't have any irritation or break outs from this foundation. I like double wear light, but I would rather stick with my Revlon colorstay for 1/2 the price. It works just as well for me, and I can actually get a proper color match! You can see my colorstay review here.